Whilst doing the 30 Day Song Challenge I got to day day 7 - A song that reminds you of a certain event. I thought I would share this with you guys too, one because I'm a sharing kinda person ;) and two because I have an application to fill in and I am procrastinating. When I moved away from Bristol in my attempt to be a single lady (despite having already met Tom and thinking he was a little bit/totally handsome and lovely) I was on a desperate job hunt and spent many a day in North Shields Library.. Into a barrel, it helps us stay alive. You will buy a cone. Pounds filling euros, get yourself a life. and nothing could see otherone it's tight. Marry into money, marry twice. Live underneath the staircase, of speak your mind. The letters I wrote to you. No-one went in for weeks, he thought it was a home. Crying in the taxi won't do you no good. I tried to make a vessel but there was no wood. And buy a pair of gills. But holding on for that long might a job aswell. Being colder than I can remember...ok it was January but still..the north is cold! Letters and txt's and FB messaging and mobile chats and emails everyday...falling in love long distance..
During this time of unemployment I watched a CBBC program (yes Children's BBC!) 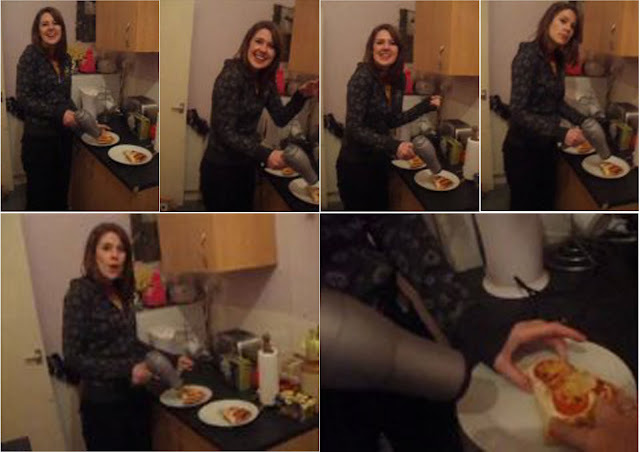 about alternative forms of cooking and learnt you can heat up a pre cooked pizza with a hair dryer...so we gave it a go. Very silly I know and top points if were managed to twist your head to watch it! (My bestie is not the best camera lady).